Whether you run a restaurant, are put in charge of planning a family reunion, or wish to throw a birthday party for a loved one, it is almost certain you’ll be required to accommodate the needs of children. Most people have friends, who have kids. These youngsters cannot be ignored, when arranging for the event or setting up your restaurant’s menu. 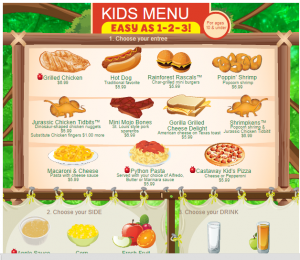 This is why it is a good idea to incorporate the use of a kids menu template. The document will make life easier for you and any youthful guests, who decide to join in on the fun. When visiting a restaurant, you’ll find that the mass majority of establishments will attempt to accommodate adults and children in different ways. Adults and children will respond differently to certain things so uniform menus may not work for both. 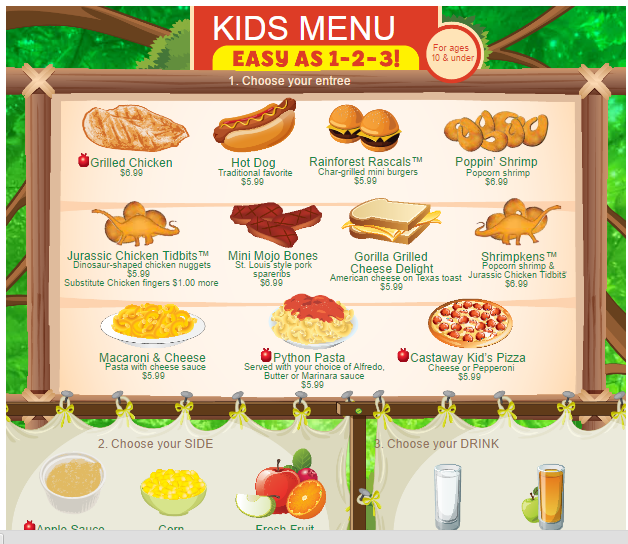 With this in mind, it is best to configure a menu specifically for your younger guests. This is where the kid’s menu template will prove to be very beneficial. The template will remain blank aside from some cheerful imagery, which caters to the younger generation. All you’ll need to do is take it one step further, by adding your menu items and the prices, if applicable. Of course, you can also personalize the menu further with additional pictures and clipart. Although children are young, they’ll want to feel independent and respected, when they visit a restaurant. Putting together an age-appropriate menu is a good solution and will help you better cater to these individuals. In fact, children often rule the roost at home. If you’re able to win over the children within the family, you may be able to turn the family in question into frequent visitors. So, be sure to use quirky names for each restaurant item and flashy images, so your youthful guests will be impressed. Restaurant owners aren’t the only individuals, who can benefit immensely from a child’s menu. Family reunions will bring together people of all different ages. If you’re responsible for planning one of these events, you’ll need to make sure to cater to all age groups. 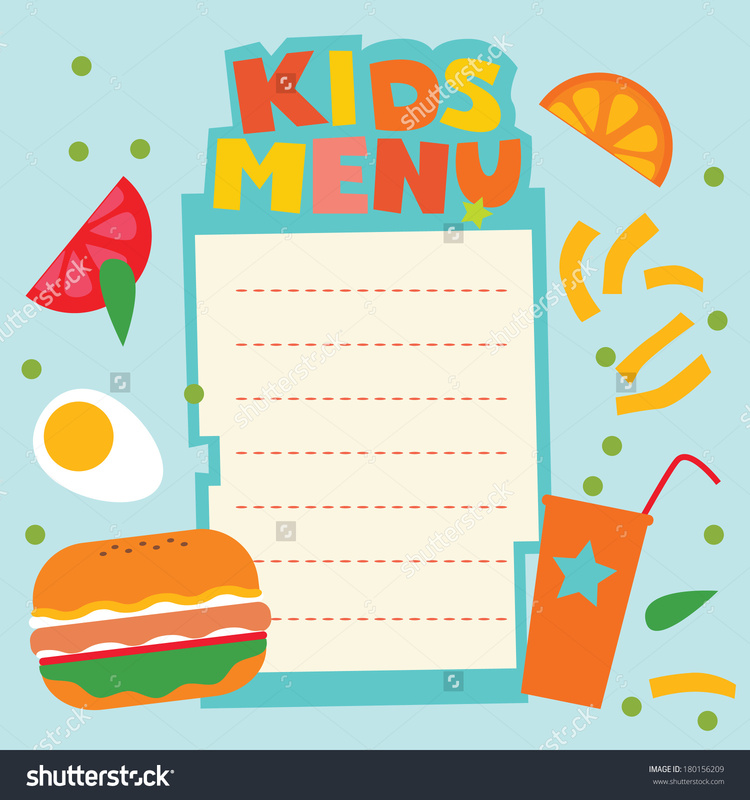 Configuring a menu for your adult guests and making a separate one for children is best and will make sure nobody feels left out. At the end of the day, running an eatery, planning a get together, and attempting to keep everyone happy can be difficult, if not overwhelming. Using a kid’s menu is definitely wise. Since the template is completely free, there is truly no good reason not to use the document to your advantage.